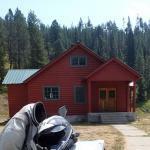 Warm River Cabin is located less than 20 miles from Ashton, Idaho, at Warm River Springs. An Idaho fish and game hatchery operated here from the 1930s to the 1950s. The cabin was formerly the hatchery manager's house. It was constructed by the Civilian Conservation Corps (CCC) in 1938. The cabin is open from May 15th until March 31st and is accessible by vehicles from mid-May until the end of October. Snowmobiles, cross-country skis, and snowshoes are needed to access the cabin from early December through the end of March. The cabin is named after the adjacent Warm River Springs, which is the source of the Warm River. The dwelling sits at an elevation of 6,000 feet in an open, grassy area flanked by a conifer forest. Moose and bears are sometimes seen in this area. This charming cabin (open to the public for rent through the Forest Service) can accommodate a maximum of 12 people. It offers six sets of bunkbeds with mattresses, a dining area with a table and benches, a wood stove for cooking and for heating, storage cabinets and firewood. There is a new wood stove located in the living room with available seating as well. A picnic table, campfire ring and vault toilet are located outside the cabin. 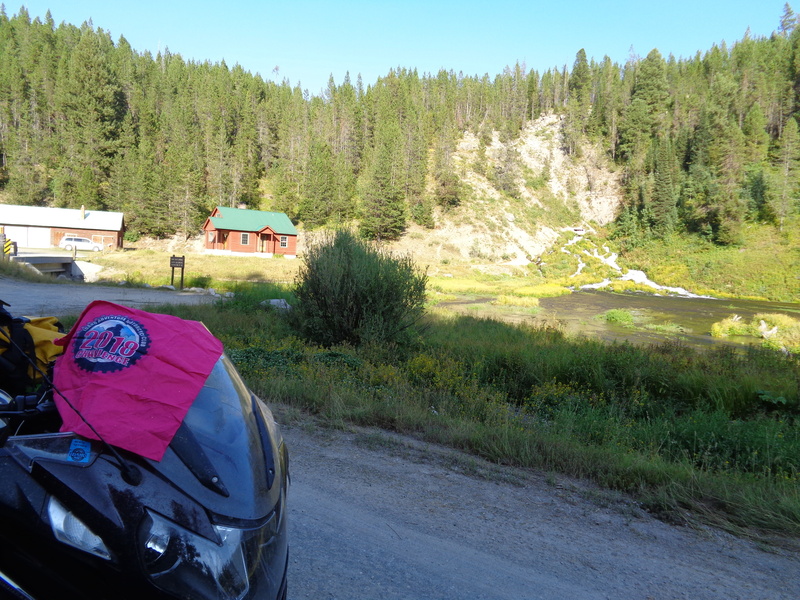 The cabin is a short distance from the Mesa Falls Scenic Byway. The cabin is open year-round and can be accessed by car in the warmer months. 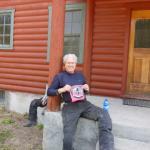 Snowmobiles and cross-country skis are required to access the cabin from approximately early December through mid-May. I was feeling lousy all day and felt like taking a nap here on the porch! Photo taken August 13. Very impressive to see a large river flowing right out the base of a mountain. 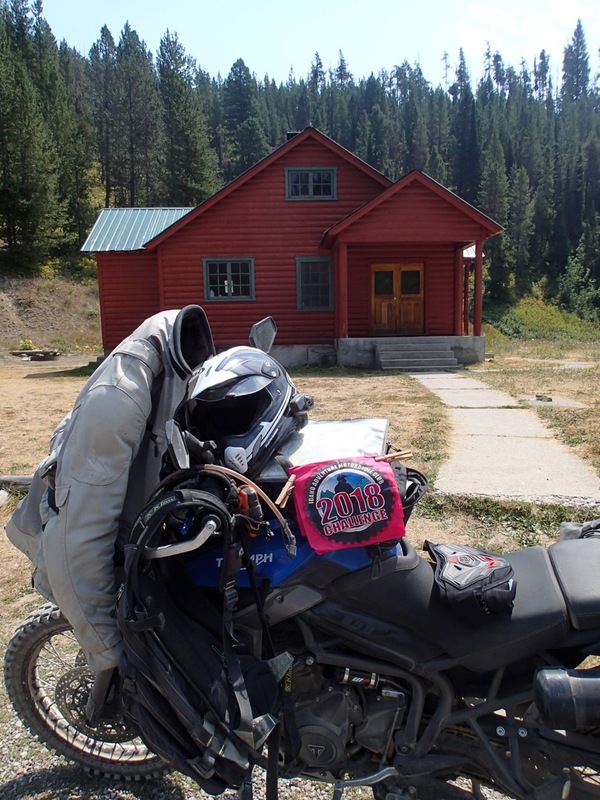 You can rent the cabin, and it is near the Continnental Divide Trail. Beautiful spot to visit. 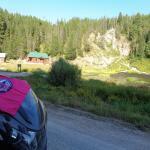 Did a 360 on puff dust on my R1200gs on way back from springs.